"I started out with 717 Parking Enterprises about three years ago. As a full time college student from Covington Ohio, my first position with 717 parking was a part time Valet. In a little over a year when I became a part time student, I moved up to a full time Traffic Controller. As my college career came to an end and I obtained my Actuarial Science degree, I was promoted to an Operations Manager at one of the 717 parking locations. For the past three years 717 Parking Enterprises has been a great company to work for. They have been very flexible around my college schedule and have provided me with many advancement opportunities. I have enjoyed working for the same company throughout my college career and believe it is a valuable asset to my resume. As an Operations Manager, I have developed great leadership skills that I hope to carry on throughout my career. 717 parking is not only a great place to work but a great place to make friends." "Hospital Parking Management has given me an opportunity to work in an environment where I am actually helping others….it is gratifying when someone comes to me and says “thank you”. I have worked for Hospital Parking Management for over two years at St. Joseph’s Hospital in Tampa and not only am I earning money to help me through college but I am also learning valuable lessons in customer service that will help me throughout my working career." "What a great way to earn a living! I am outdoors all day long and more importantly I am helping people who genuinely appreciate what I am doing for them. Thank you for giving me this opportunity, I will never forget it." "The management team at Hospital Parking Management are totally supportive or their employees, I am a good example. When my parents got sick in New York the company not only gave me an advance on my salary but helped me with all the arrangements to get home." "When I first started parking cars for Hospital Parking Management I went through training in customer service and safe driving…..I realized quickly how much I didn’t know. The trainers were patient and made sure I fully understood each facet of the training prior to giving me an assignment. Today I am working full-time as a Lane Supervisor at Ohio State University and now I help our manager with the training. Thank you for giving me the opportunity to have such a fulfilling position." "At Hospital Parking Management there is never a dull moment; there is always a new challenge just waiting to be taken on. There are also no barriers to your career development. You are rewarded and appreciated for your hard work." "The many different opportunities that Hospital Parking Management had to offer was one of the many reasons that I joined. Throughout the time I have been here, I have come to admire this company and everyone here. 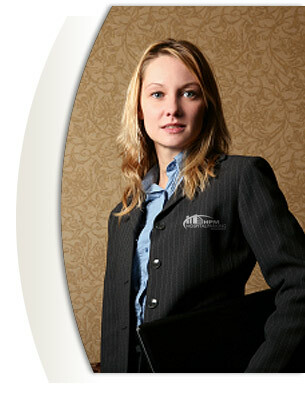 I also enjoy the energy that everyone has and devotes to our clients." "There's an amazing amount of talent and expertise here. We work together and build on each other's strengths. It's a great team!" "I came to Hospital Parking Management directly out of college seeking a company that would allow me the opportunity to learn and grow. Three and a half years later, I continue to grow and refine my management and customer service skills through the continuous training."